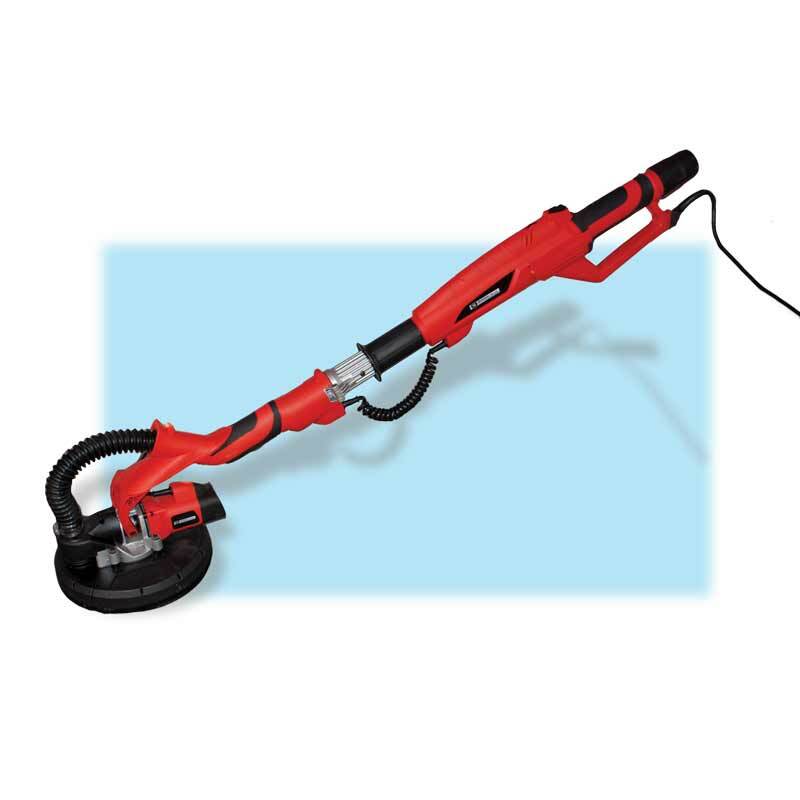 Check out the BNR1837 Drywall Sander! This tool is designed for sanding walls and ceilings made of drywall or plaster in any position. Just use the built in extensions to change the length of the tool from 4 ft. to 7.2 ft. long. The long-reach is ideal for sanding high walls and ceilings. The removable brush segment allows sanding right up to the edge with ease. The tool can be folded in half to reduce the length of the tool and to fit into a carrying case. The motor is mounted on the sanding head to reduce the number of moving parts and provides a direct drive to the sanding head. Center and edge vacuum locations provide a large area of dust collection. The tool provides a easy hook-up with a standard vacuum hose to ensure a dust free working environment. With extension you can easily reach up to 12 1/2 ft. Connection for dust Extraction (dia. ): 1.5"/1.25"